Welcome to Pool Supplies Ltd, and thank you for visiting our website. Formed in the Spring of 2009, all members of the Pool Supplies Team have worked both in the construction and maintenance of Swimming Pools for many years, and combined, we have a total of over 60 years experience in the Swimming Pool Industry. Drawing on our wealth of experience, we are able to offer an exceptional level of service and sound advice. 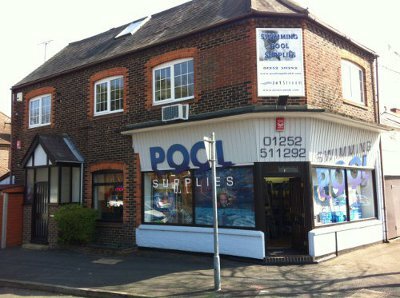 Whilst there are number of products on the market available for swimming pools, we have hand picked our stock based on our own experiences, and we only stock the very best quality products, so you can rest assured that the products you purchase on our website and in-store are of the highest quality. Based in Farnborough (Hampshire), we are able to offer a number of services to the South East of England including pool maintenance and service contracts, refurbishment works, diagnosing and resolving heating or water issues - from above ground pools to large hotel complexes, we are able to take on any job. We also have our own very sophisticated leak detection system which enables us to pinpoint underground leaks and target isolated areas, without the need for extensive digging to find the cause of the problem. If you have any questions, would like to enquire about a product, please don't hesitate to contact us, or if you are in the Farnborough area, why not visit us in store. Please click here to find us on Google Maps, and get directions to us!